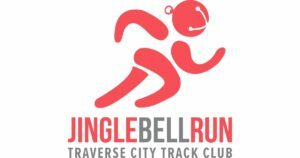 The Jingle Bell Run tours favorite neighborhood streets bordering downtown Traverse City that are decked out in holiday lights and decorations. The event, highlighted by runners of all ages and abilities donned in festive holiday costumes, is a non-timed 3 mile followed by holiday cookies and hot chocolate. This year’s race to benefit Meals on Wheels of NMCAA. Last year Meals on Wheels of NMCAA served 191,552 meals to 1,355 homebound seniors, additionally 38,602 meals were served to 1,618 seniors at our lunch sites. Our goal is to meet the needs of seniors in our community at the time their need arises and NOT have to place them on a waiting list. By supporting Meals on Wheels, you are ensuring that frail, homebound seniors receive the physical and emotional nourishment they need and can maintain a way of life that honors them for all they have given. This year’s Jingle Bell Run takes place on Sunday, December 16th, downtown Traverse City. Make a donation below or visit the run sign up page to register.